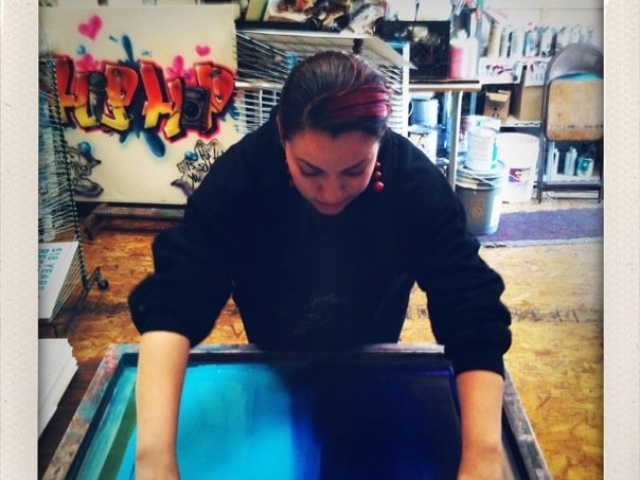 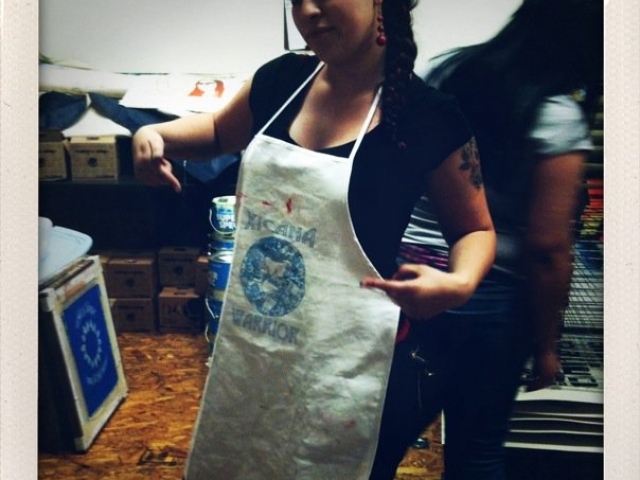 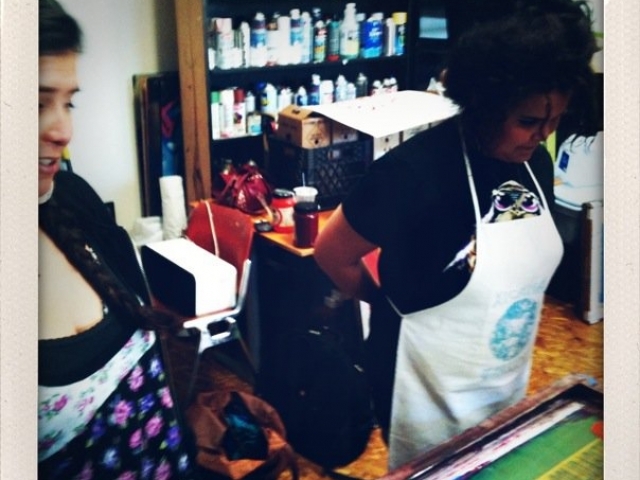 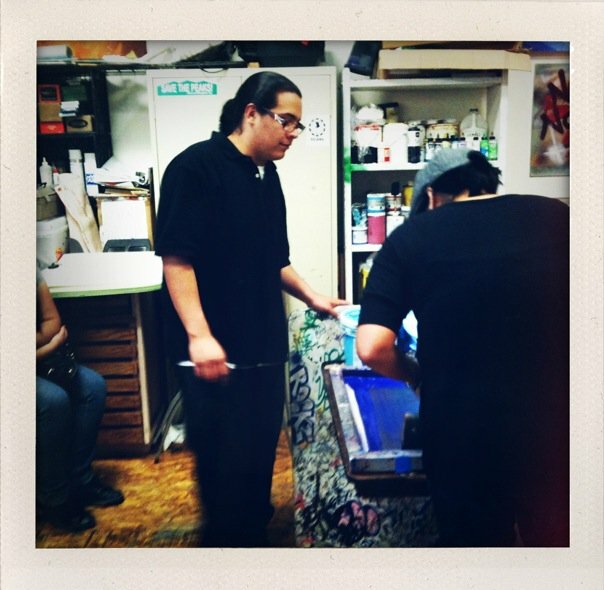 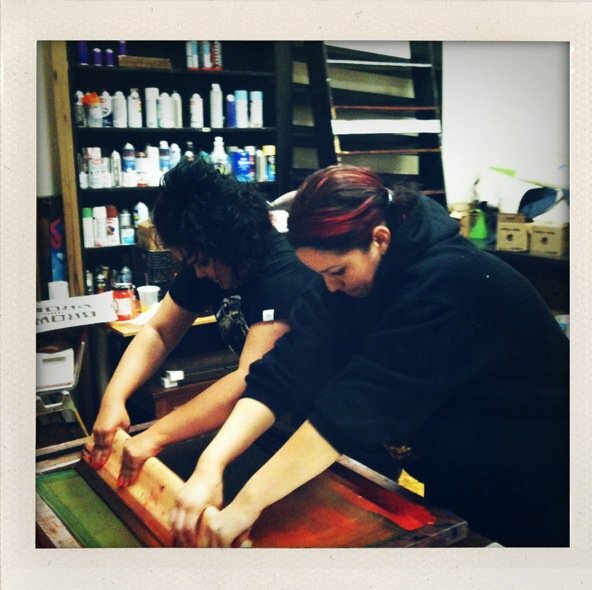 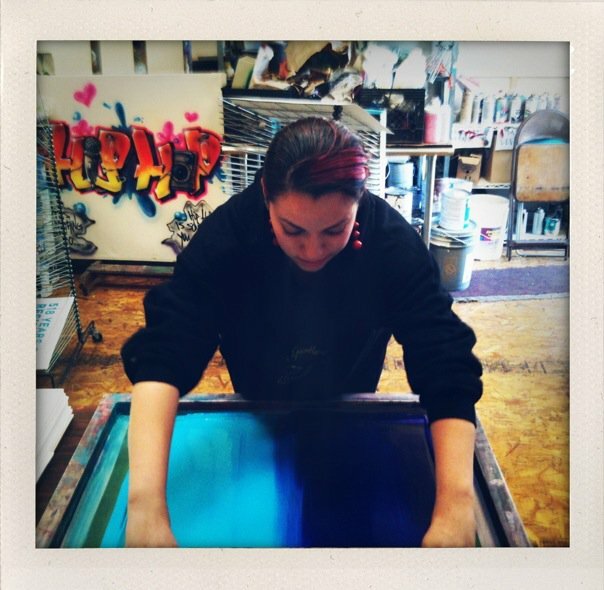 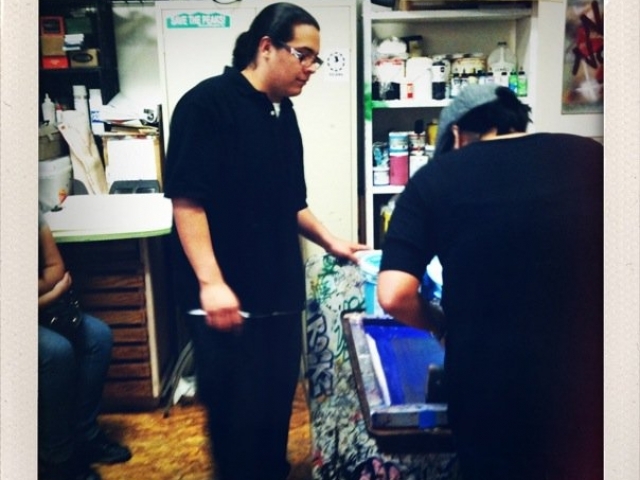 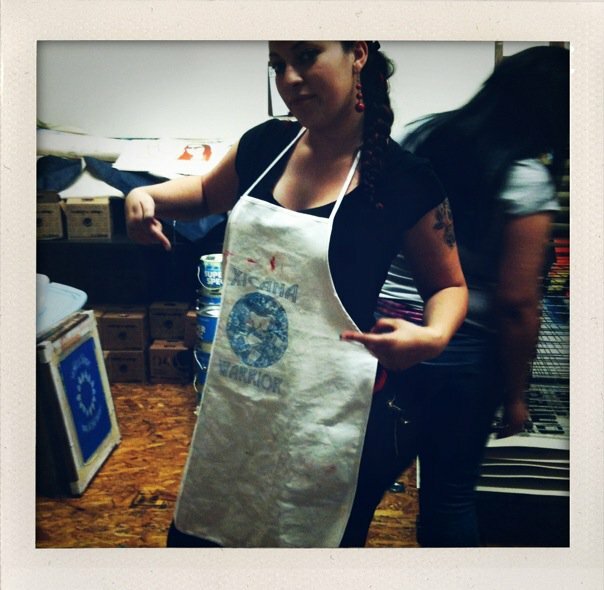 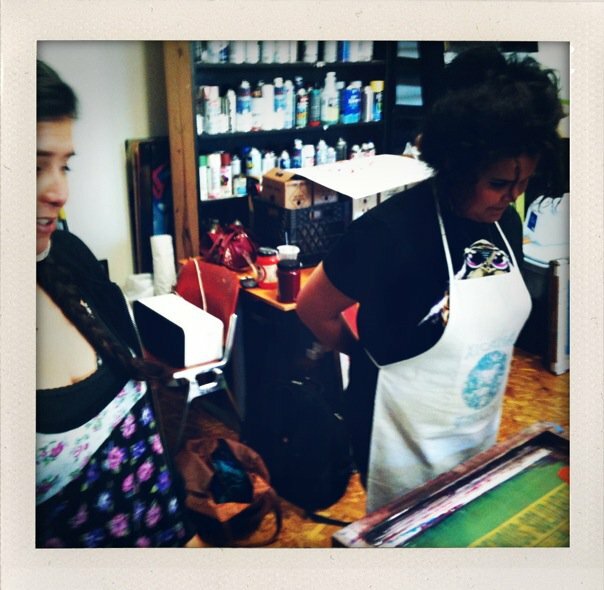 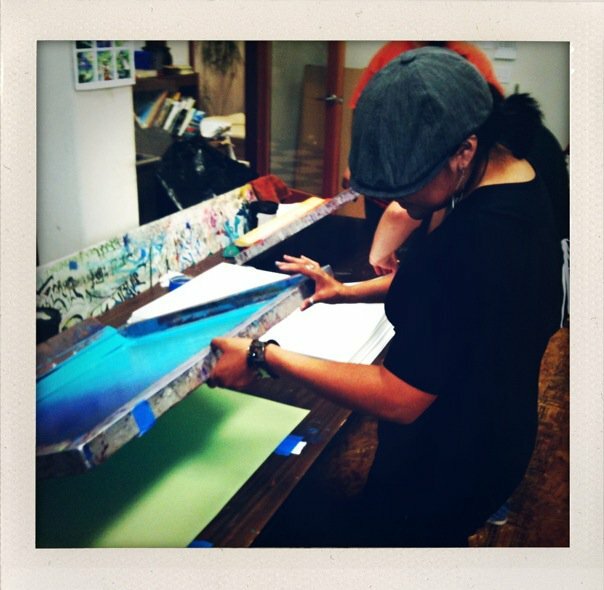 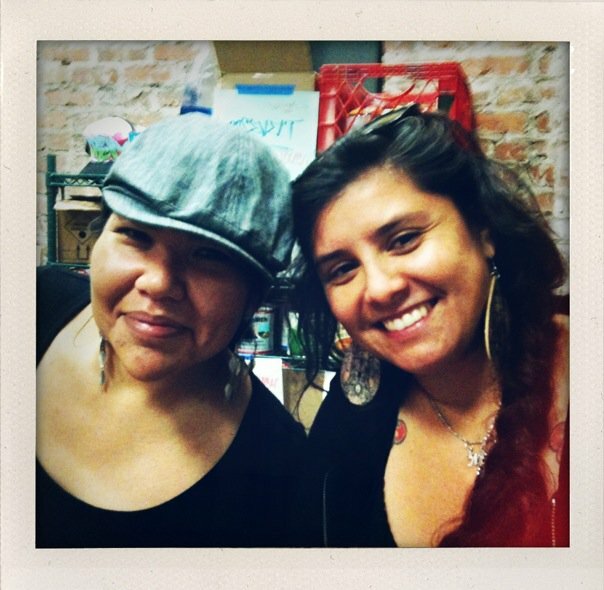 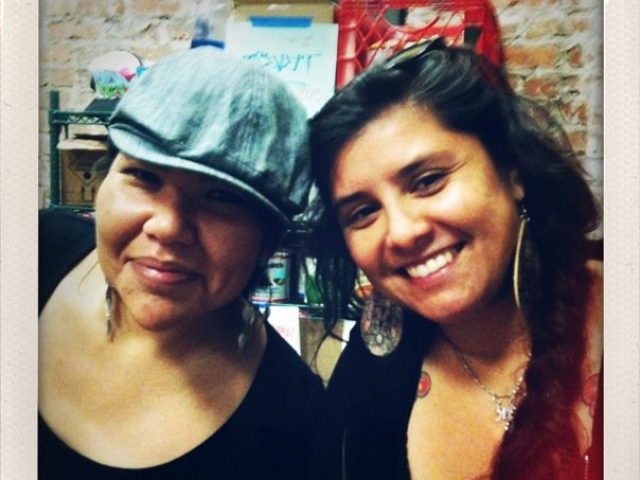 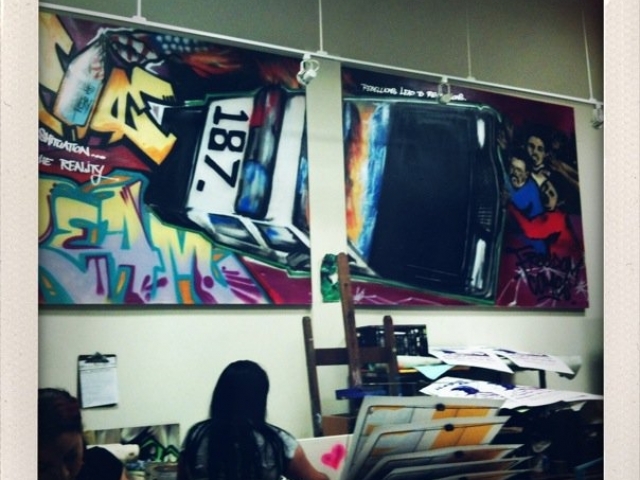 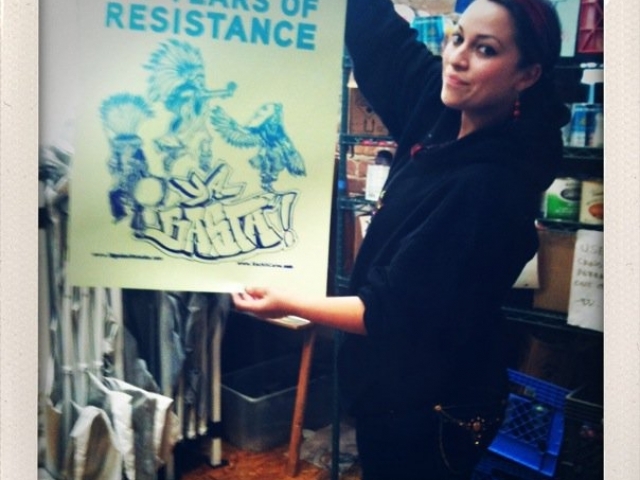 After Melanie Cervantes organized a workshop to bring together community in Oakland to create posters for May 1st she wanted to bring local artist together to make posters to send to Arizona. 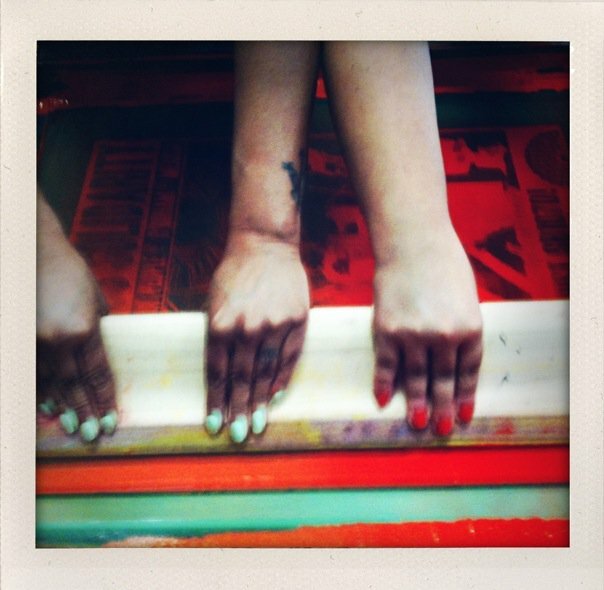 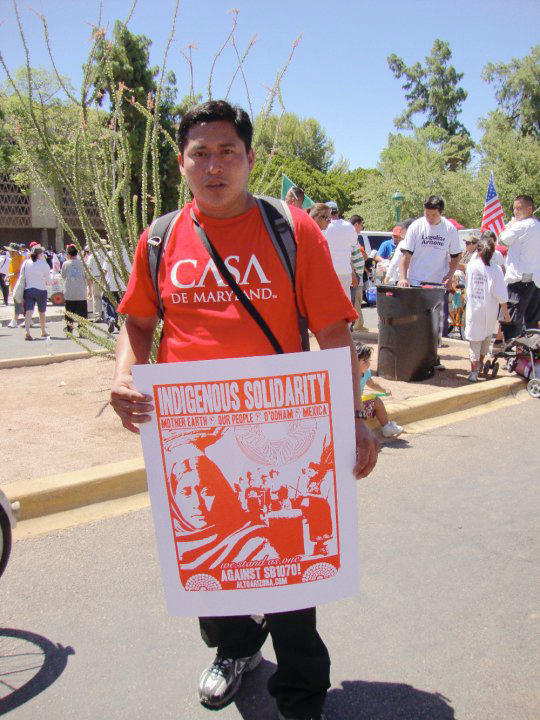 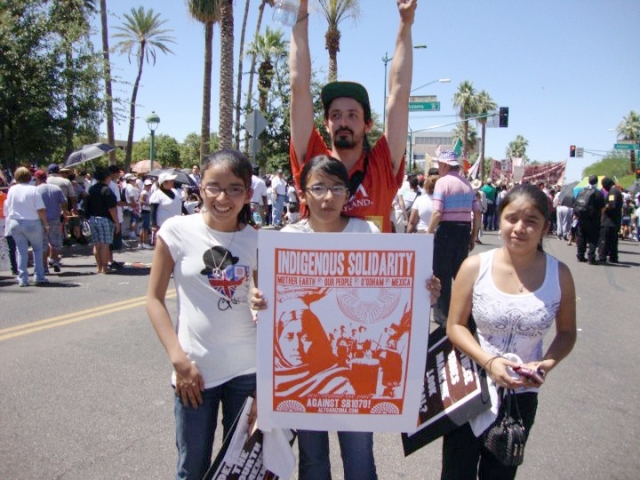 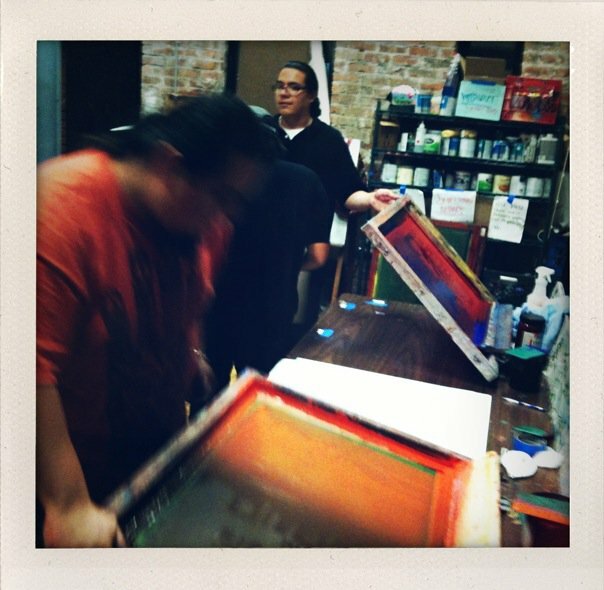 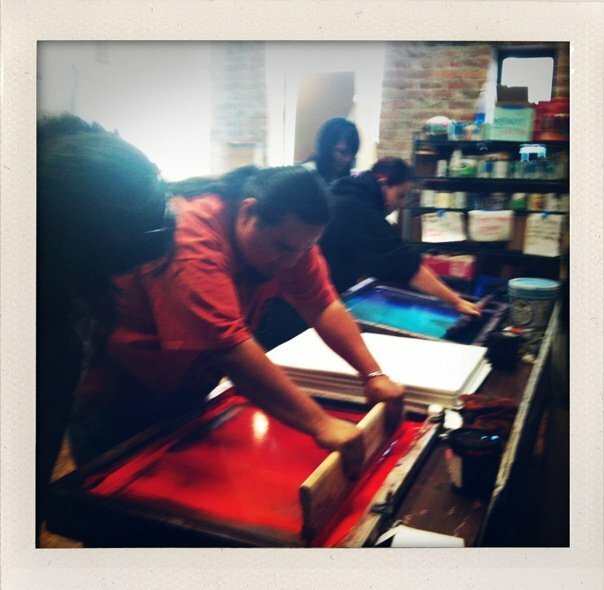 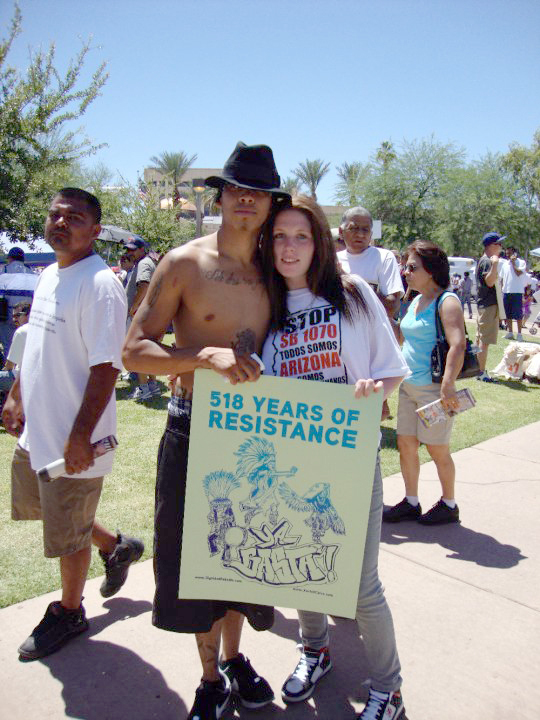 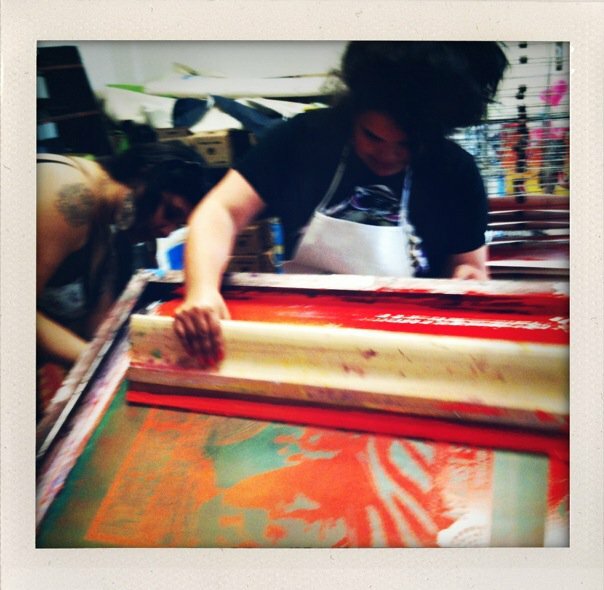 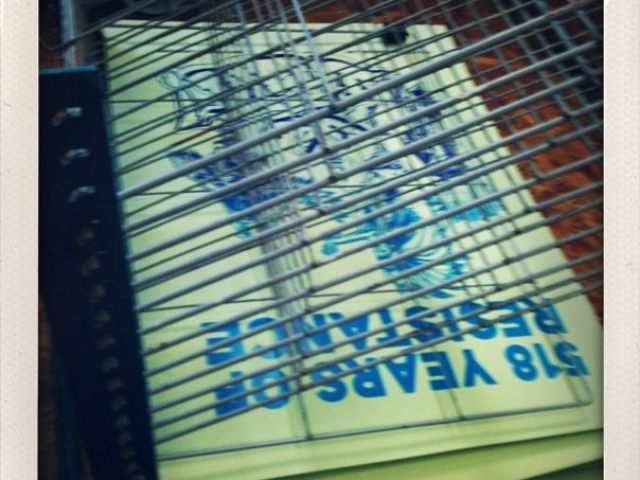 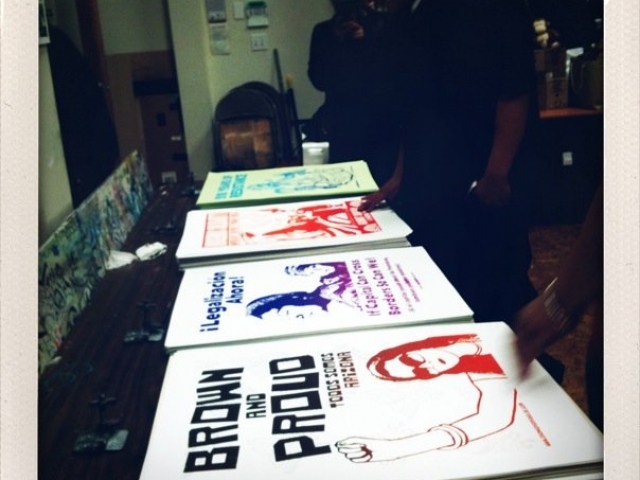 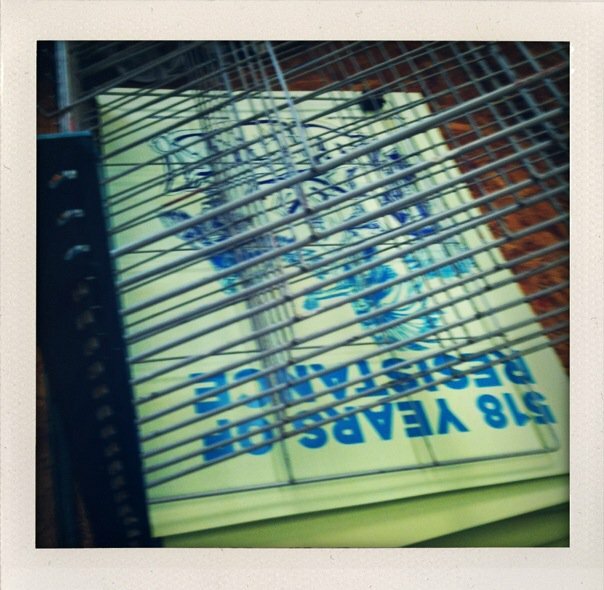 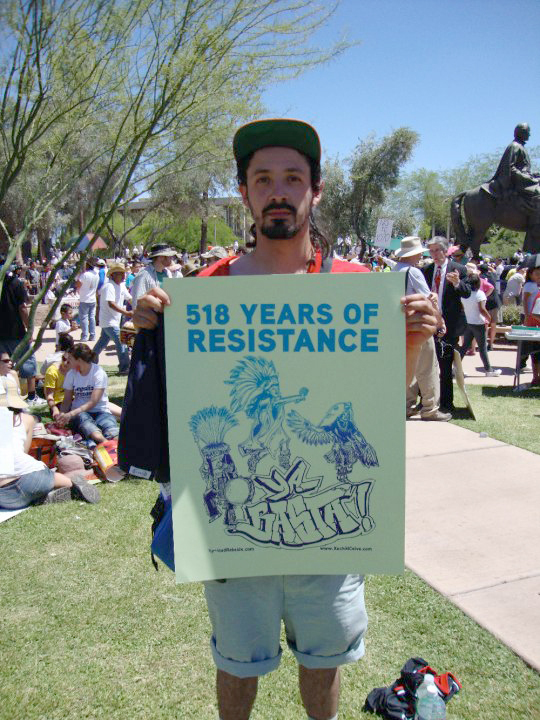 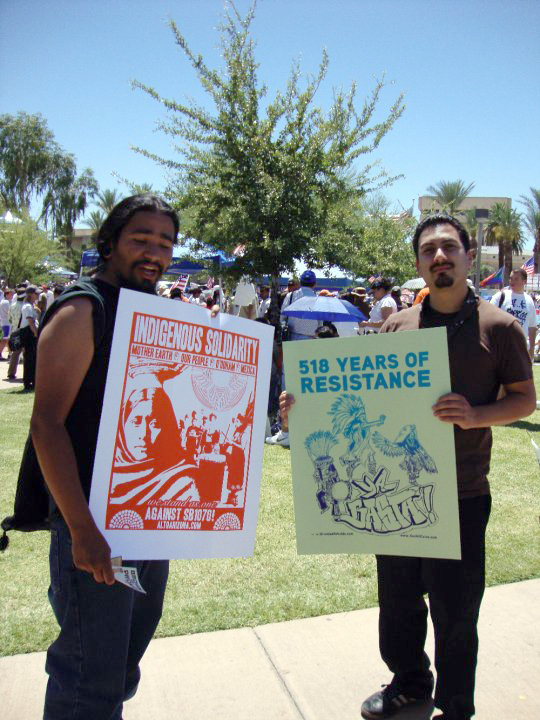 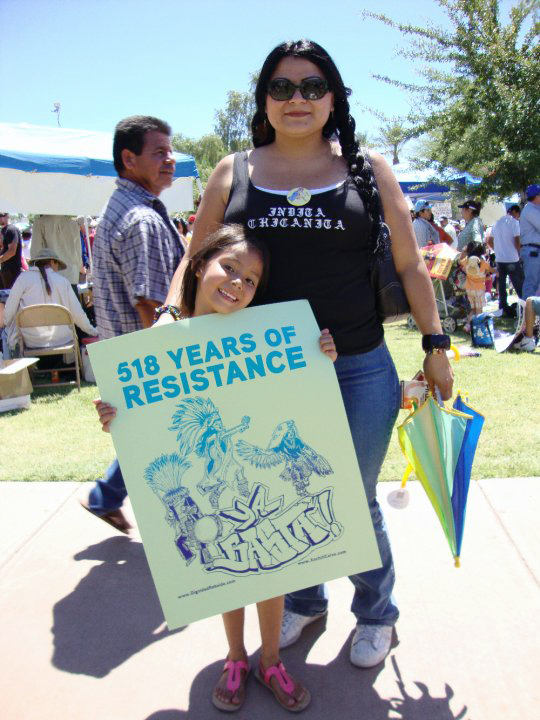 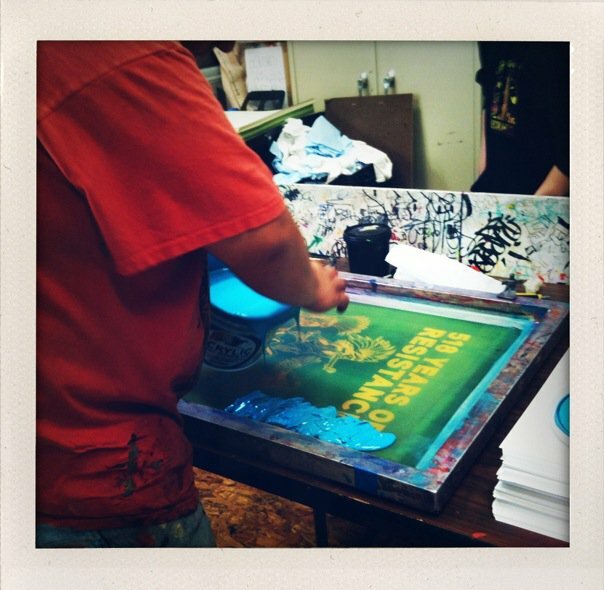 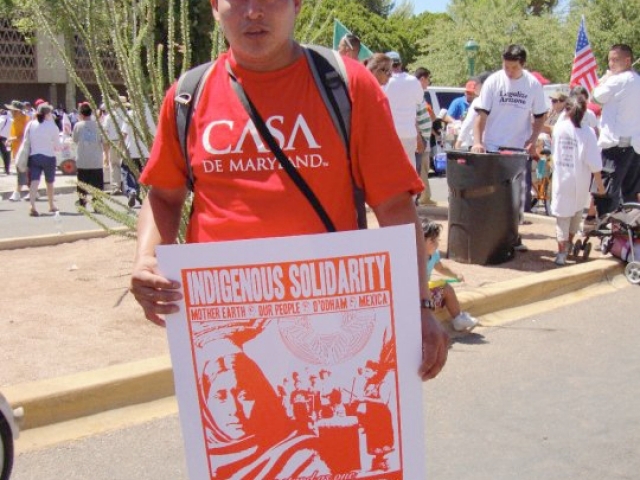 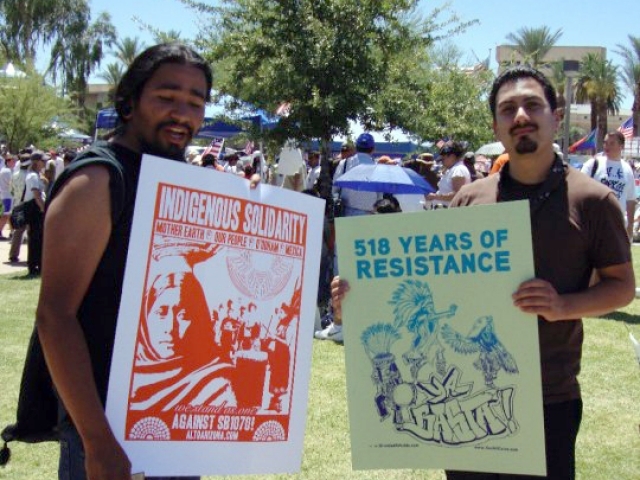 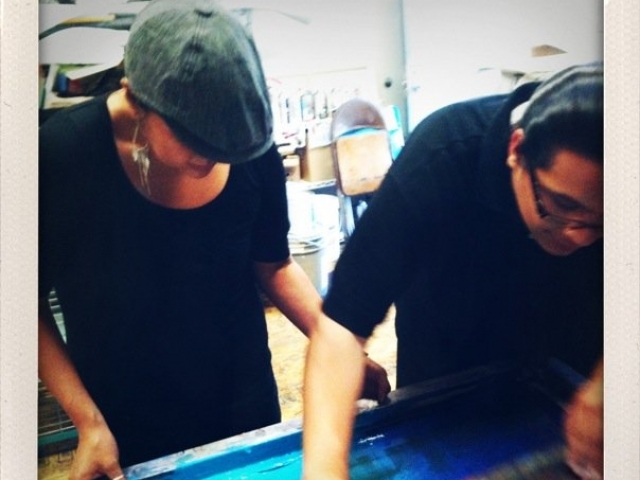 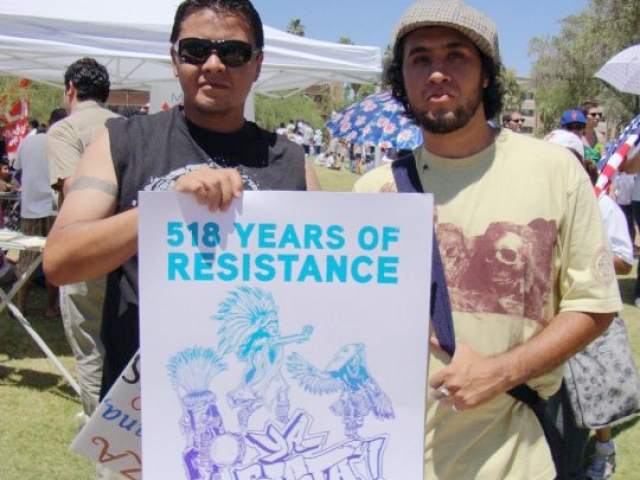 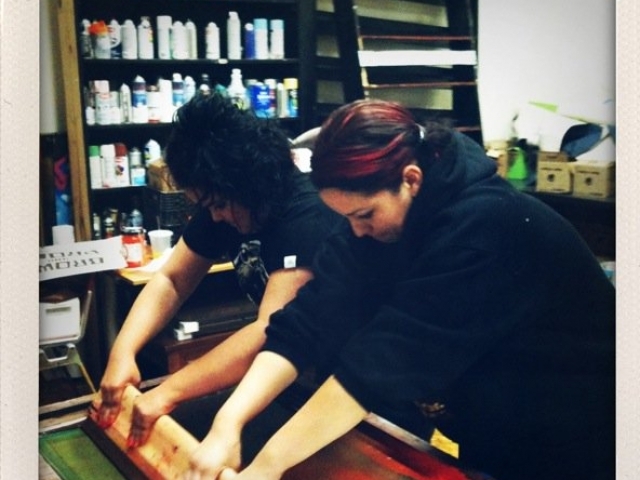 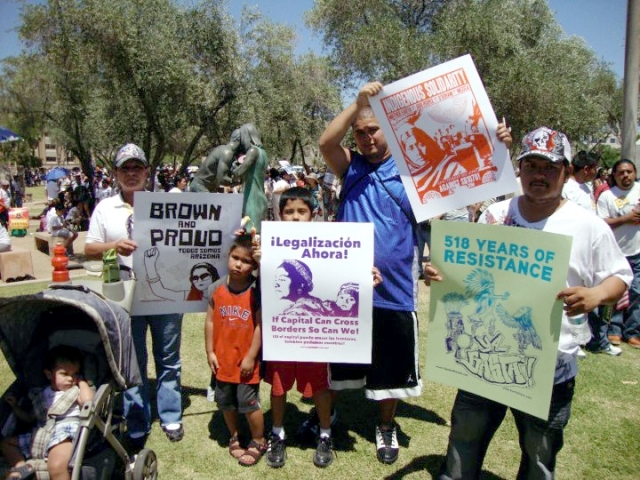 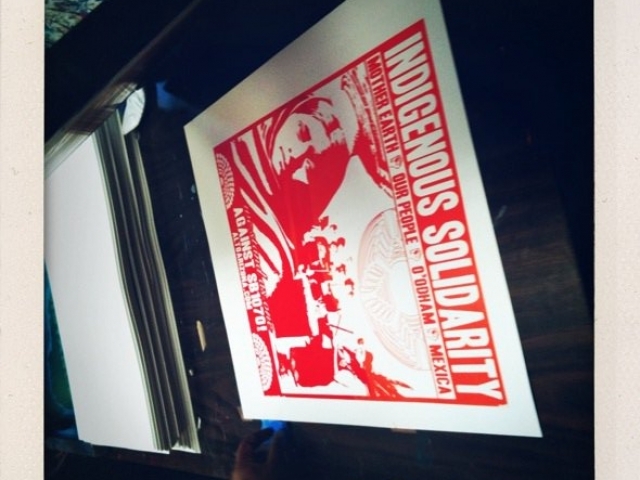 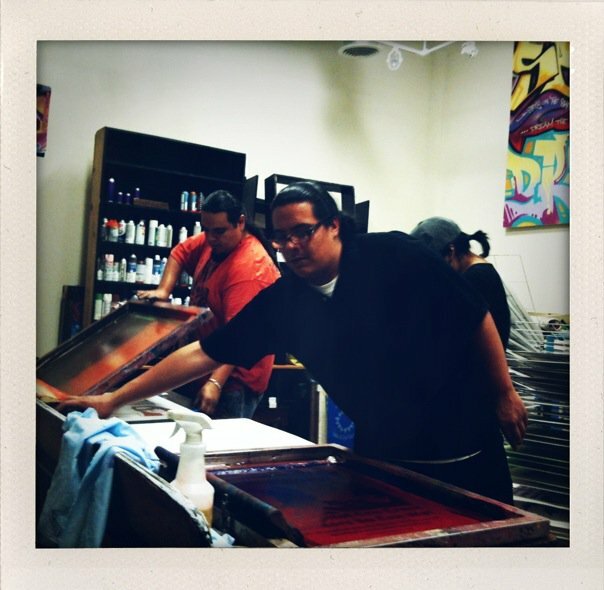 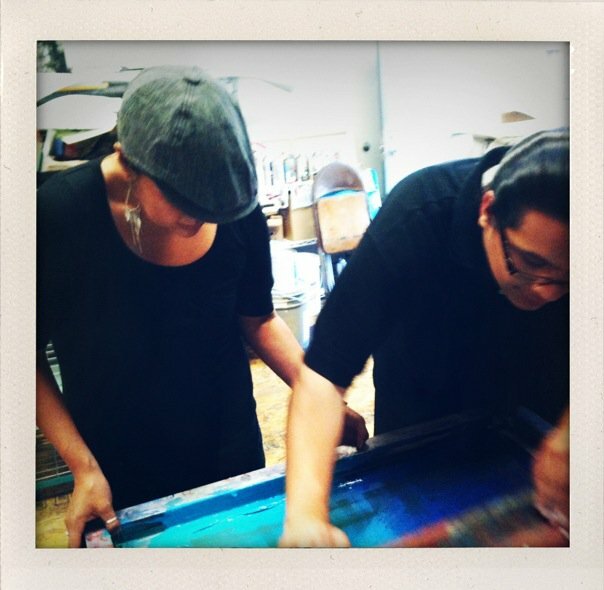 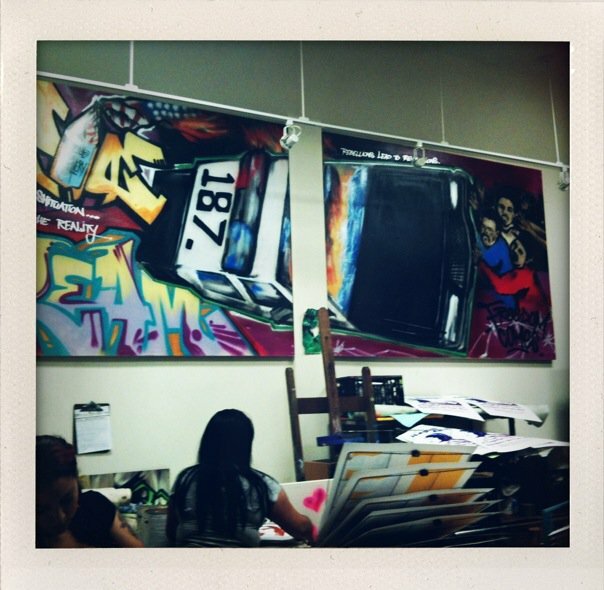 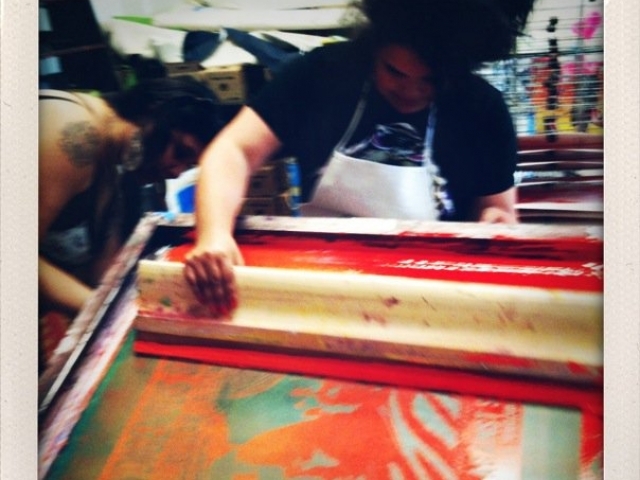 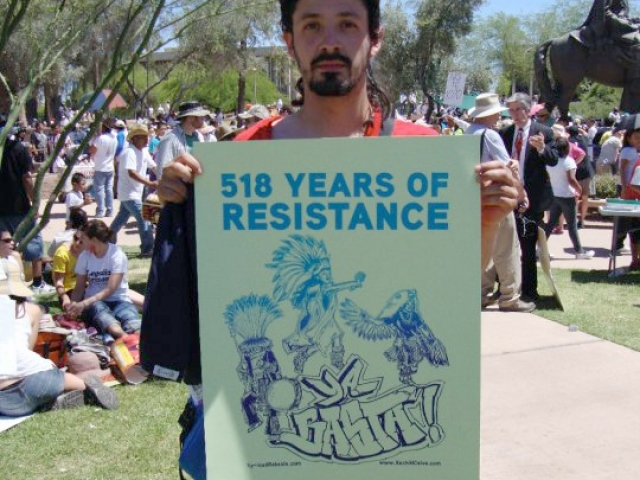 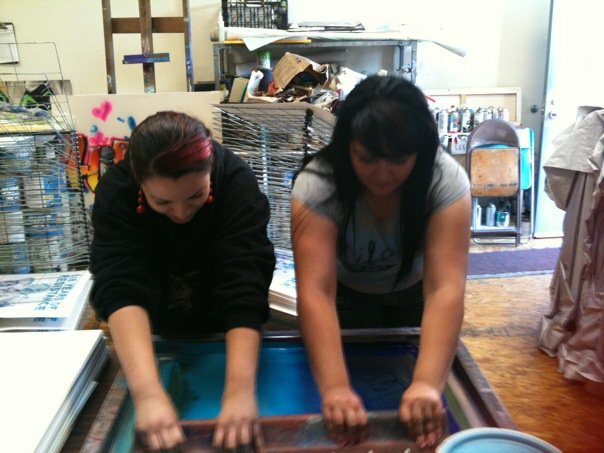 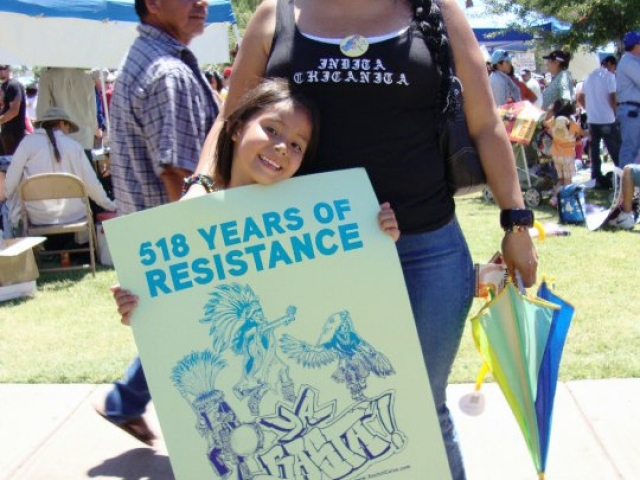 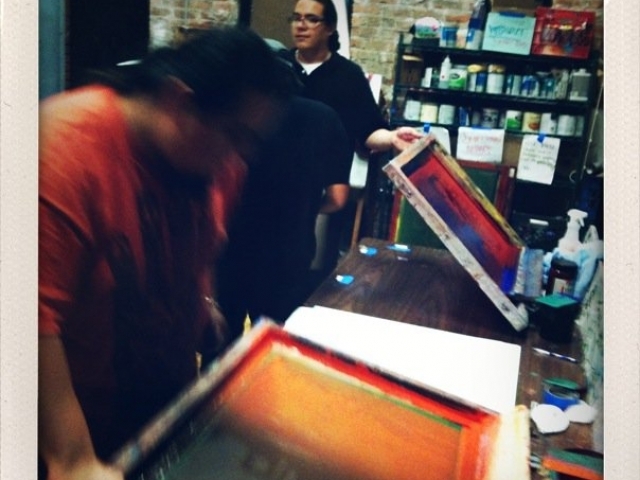 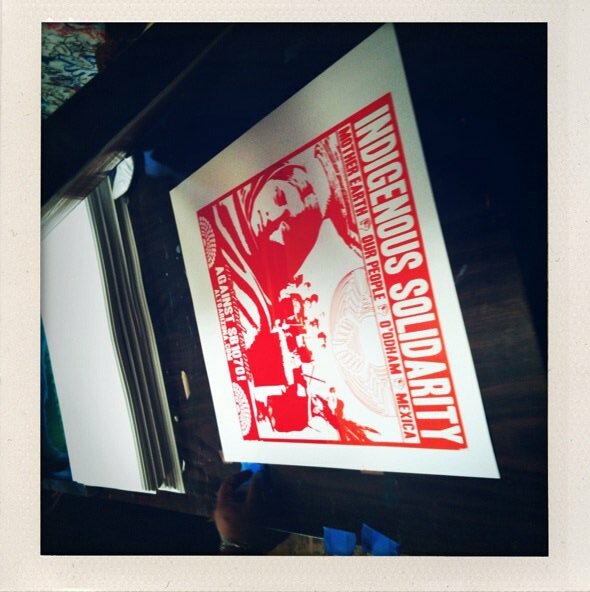 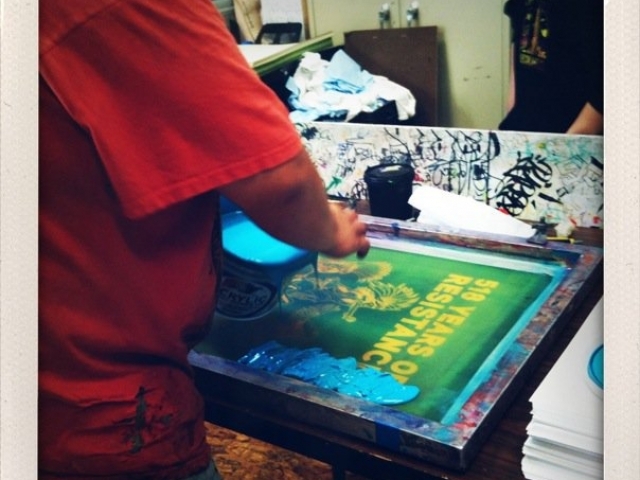 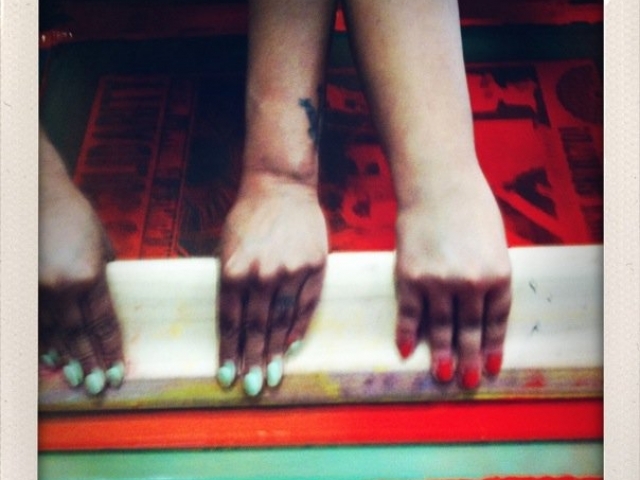 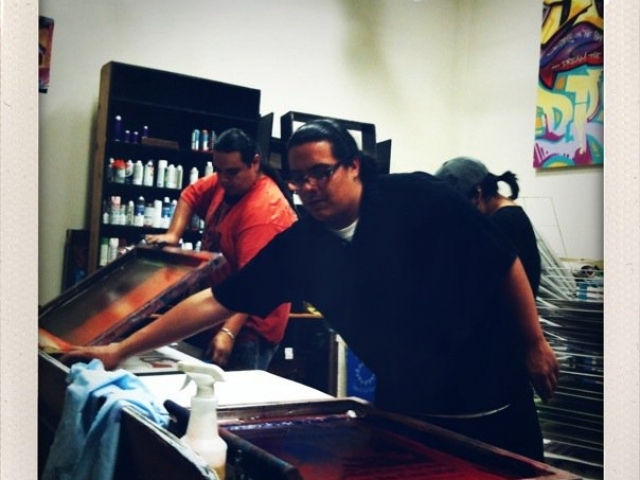 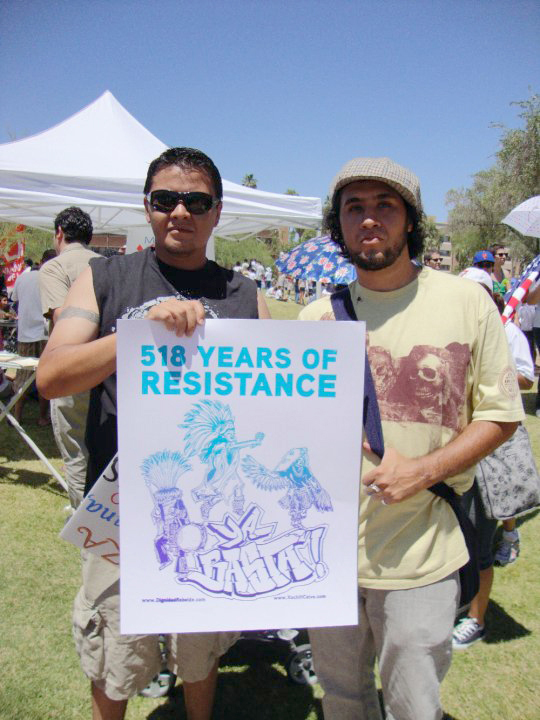 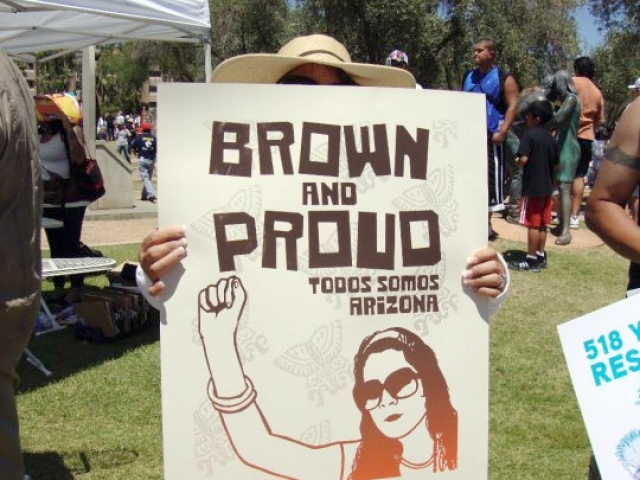 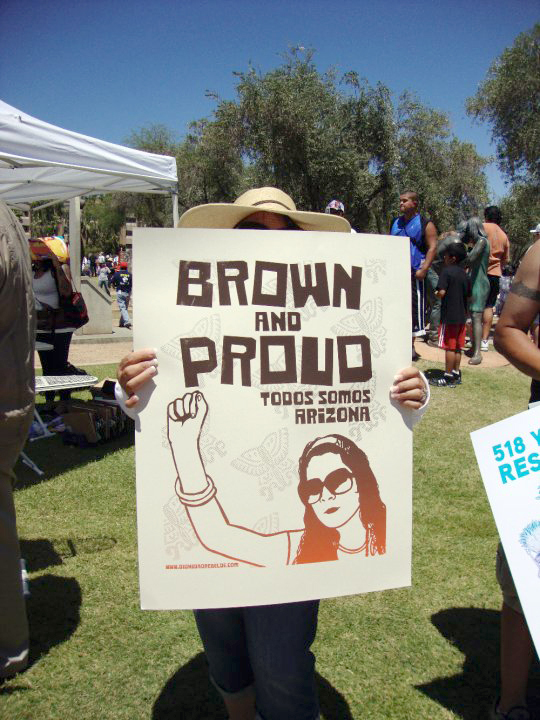 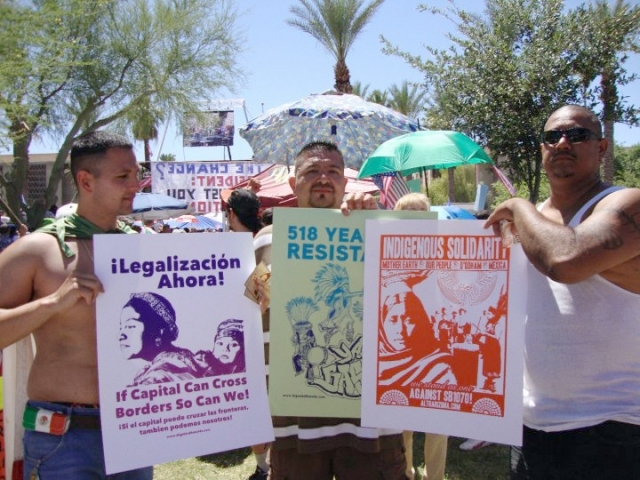 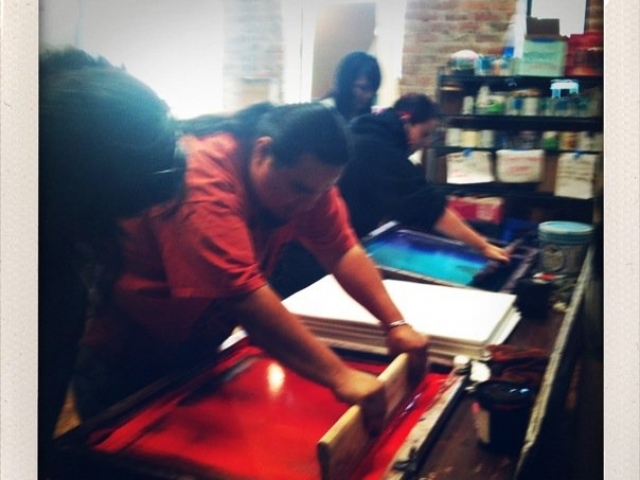 On May 20th 2010 eight artists joined forces to print over 500 posters to show our solidarity with the struggle for human rights in Arizona. 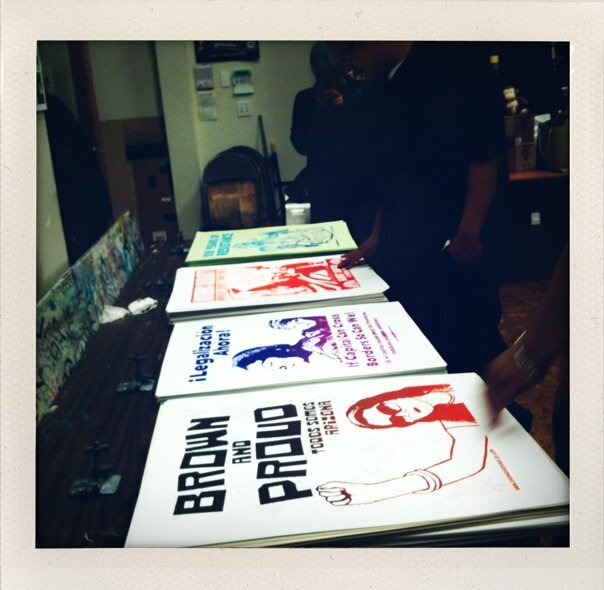 Here a some moments from that night. 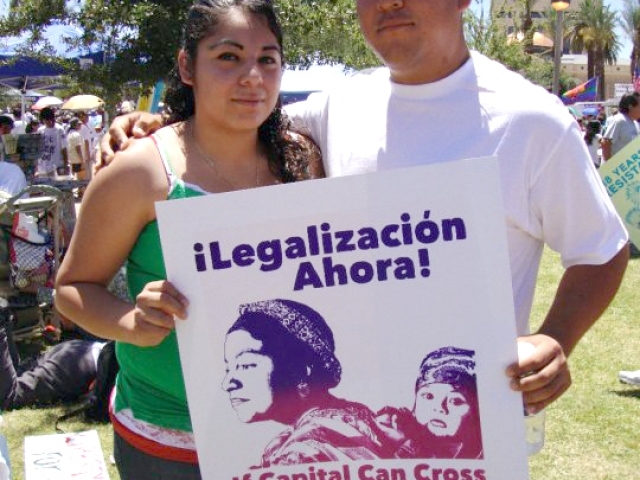 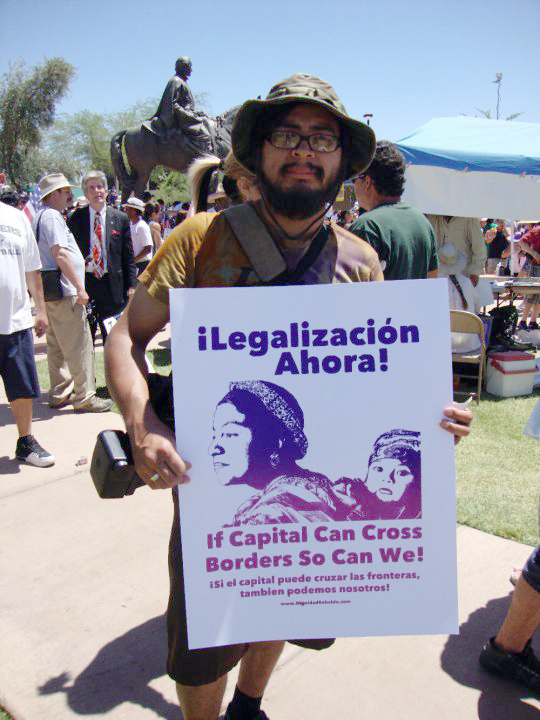 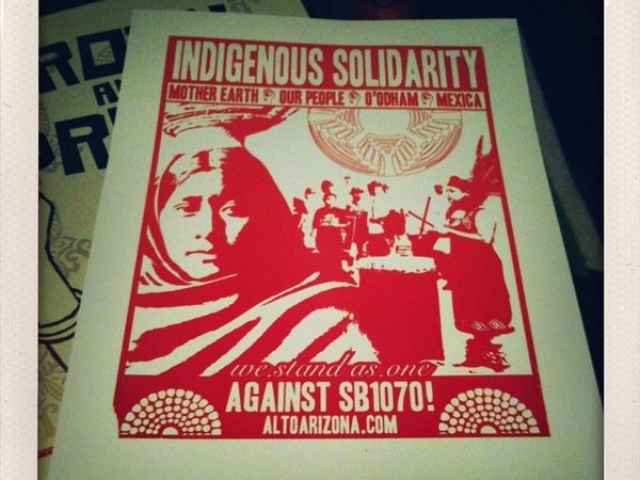 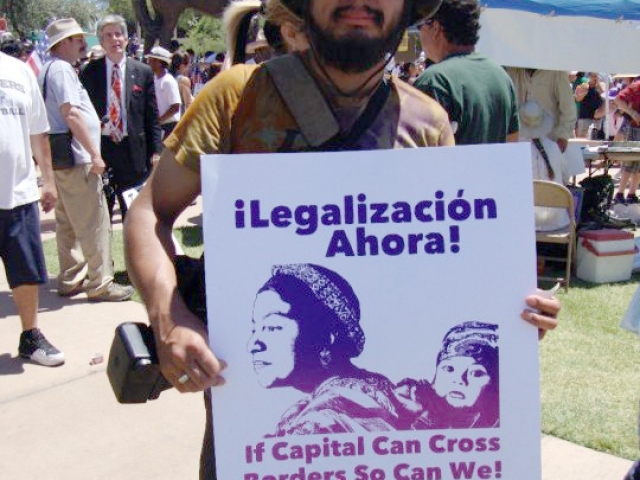 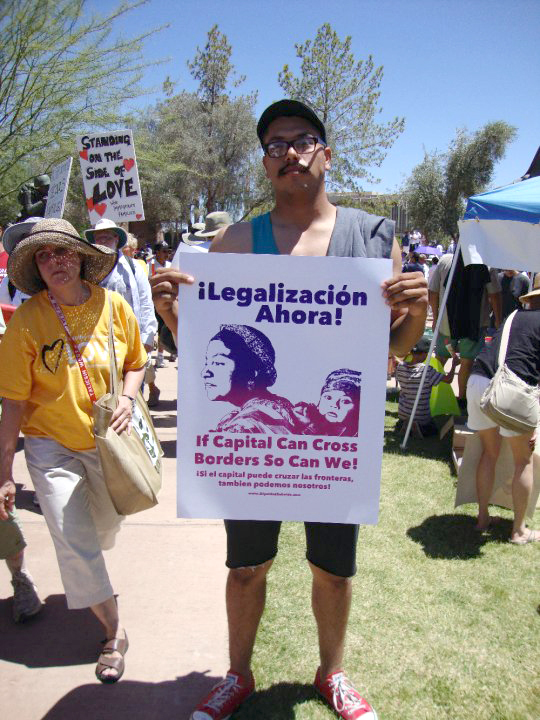 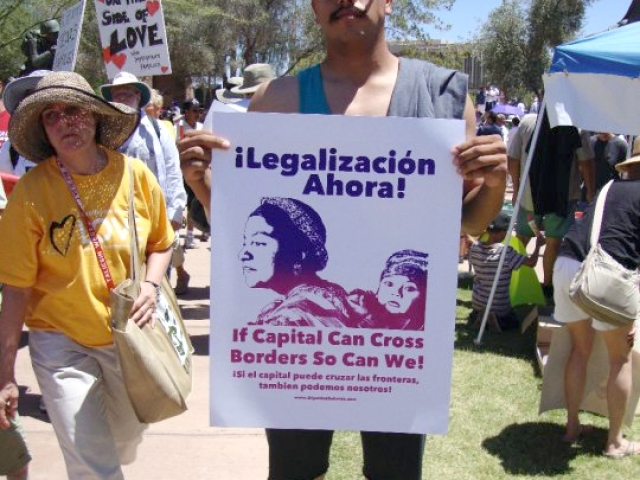 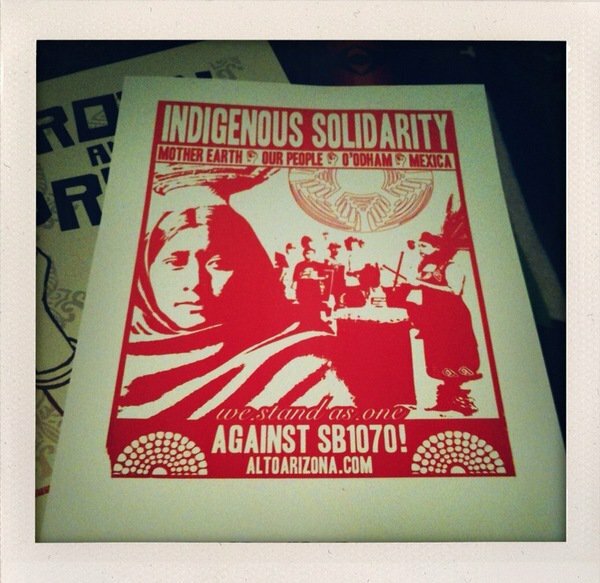 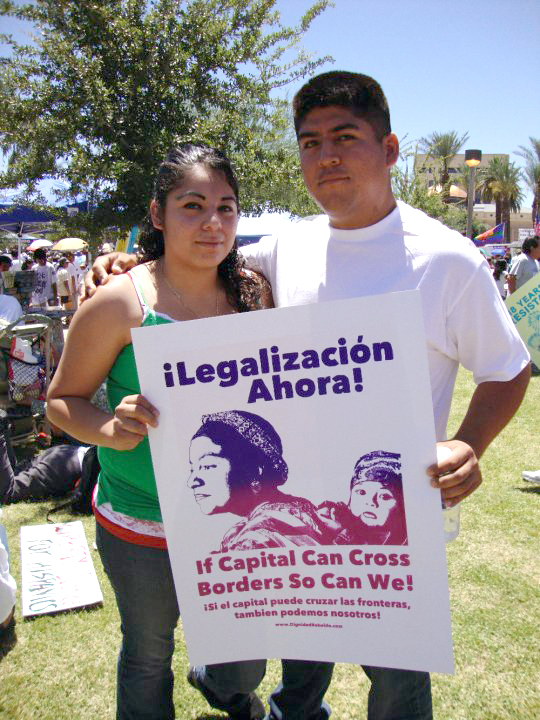 Posters were taken to Phoenix, Arizona for the May 29th Protest against SB 1070. 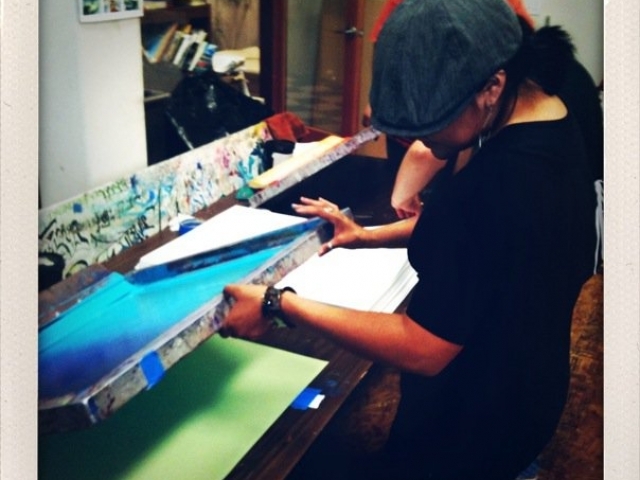 The artistst that participated are: Leslie Lopez, Favi Estrella, Chandra Narcia, Nikol, Jessie Gee, Rafael Moreno, Jesus Barraza and Melanie Cervantes. 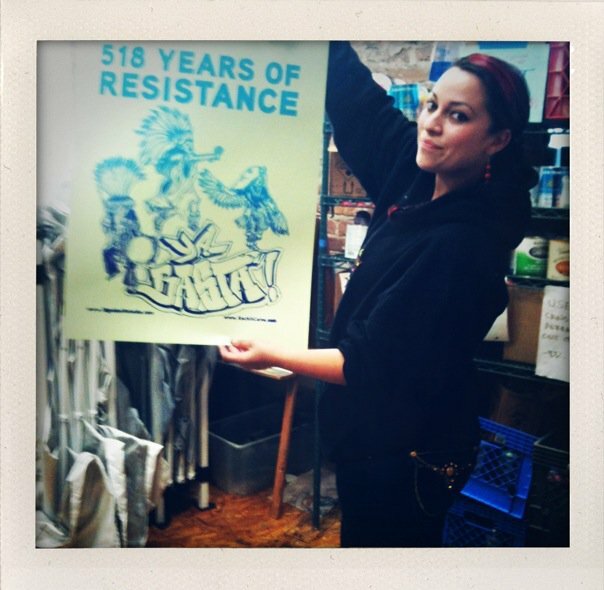 Thanks to our homie Nikol and her homie Andrea we got pictures of some of the folks who got the 500 posters we sent out there.